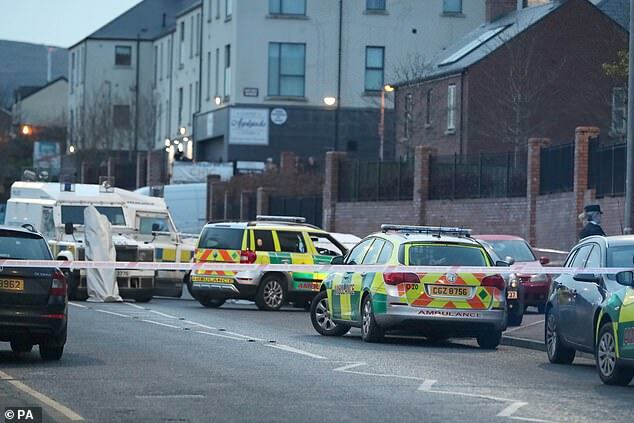 A father has been shot dead in front of stunned children while picking up children from school in Belfast. 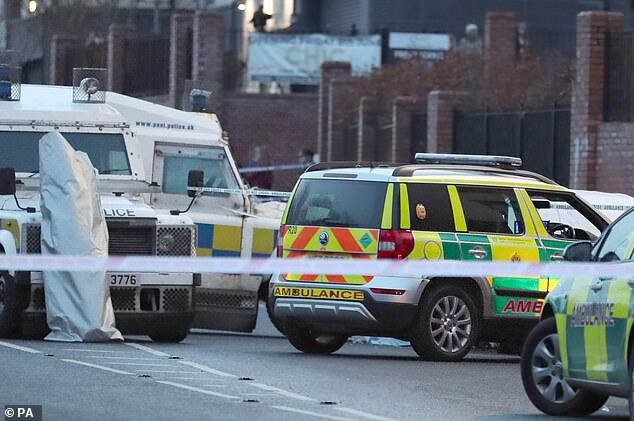 The incident happened near St Mary’s Grammar School in West Belfast. 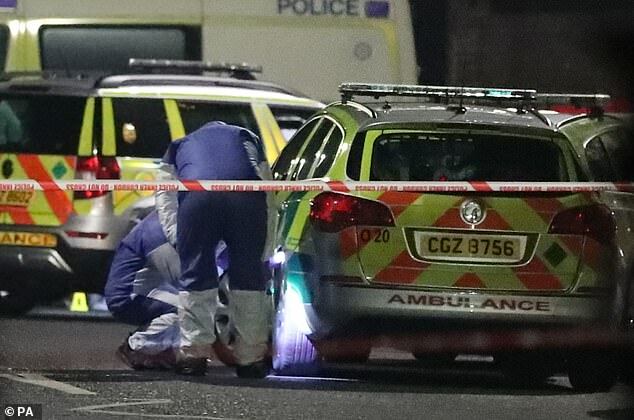 The victim pulled up in his £80,000 2017 Porsche Panamera when the gunman opened fire. A man aged in his 40s wearing a high-visibility vest is sought by detectives. 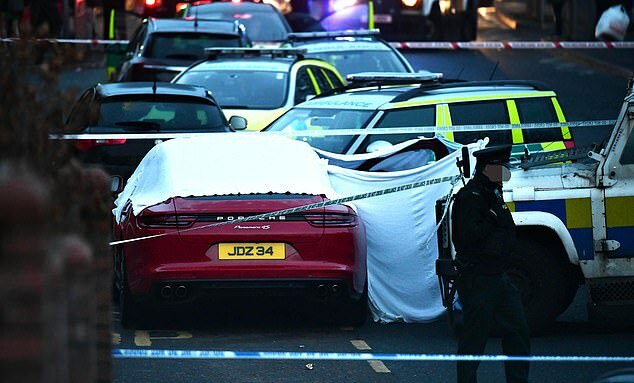 The victim’s Porsche car was covered in a tarpaulin and forensics officers combed the area for clues. Detective Chief Inspector Peter Montgomery said earlier today: ‘Police are currently at the scene of a shooting during which a man died this afternoon. The Police Service of Northern Ireland (PSNI) said: ‘Due to an incident on the Glen Rd, west Belfast, drivers are advised the area between the Monagh bypass & Glen Rd junction up to Shaws Rd & Glen Rd junction is closed until further notice. 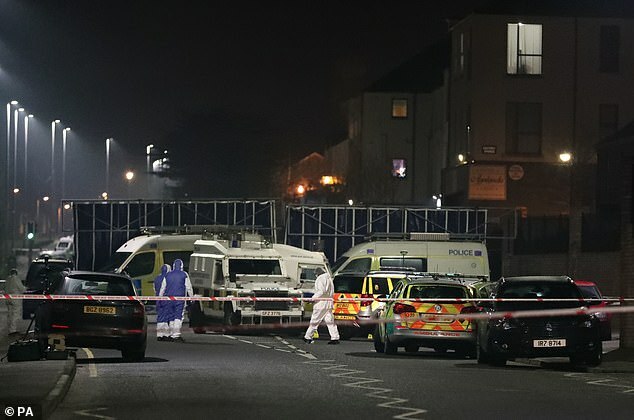 Paramilitary-style shootings are a regular occurrence in Northern Ireland, 20 years after the Good Friday Agreement which largely ended violence, although most are not fatal.